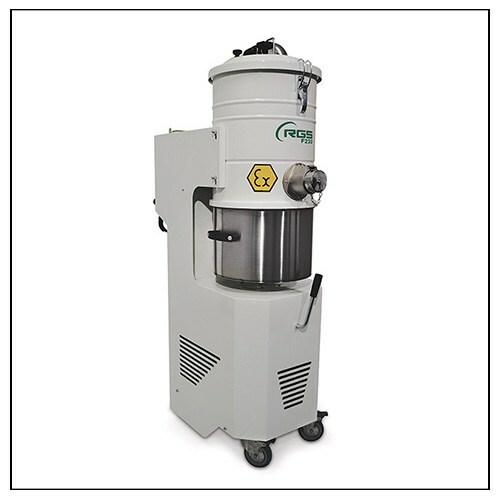 Real mobile vacuums with powers ranging of 1,5kW and capacities of 25lt, suitable for sucking important quantities of product from process machines, but also used at the end of the work shift for general cleaning of the working area. This model is as well designed to work in the Atex zones 2-22, it could be equipped with a full range of options of easy installation so to make this model particularly suitable in the pharmaceutical industry. Available in X2 version (container and filter chamber in stainless steel) and X3 version (completely in stainless steel).